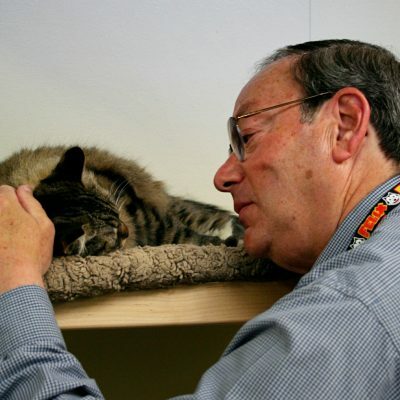 Join our amazing team of volunteers and make lives better for the animals and people of Marin. More than 650 animal lovers and advocates give quality love and care to all of the critters here. If you like walking dogs, socializing kitties, pitching in at events, finding fur-ever homes, or keeping kennels tidy, then we have animals that would love to meet you! Become part of our devoted family and feel good about giving animals the life we all know they deserve. If you’re ready to roll up your sleeves, join us for a volunteer orientation. This session will help you get to know us better and outline our current volunteer opportunities. We’ll also take you on a tour of our campus. Pre-registration is required. Saturday, May 11th ~ 9 to 11:30am ~ RSVP now! Please note: You must be 18 years or older to become a volunteer. For most volunteer opportunities we request a commitment of two to four hours per week for a minimum of one year. There is a $30 non-refundable volunteer materials fee. Under 18? Check out our Student Service Clubs for 5th through 12th graders and our internships for high school students. You may also contact the Education department or visit the Humane Education page for more opportunities for kids to get involved. Questions? Ping our Volunteer department.